Come and visit us at our beautifully fitted showroom in Church Gresley, South Derbyshire and see our range of stunning kitchen designs. Richfield Interiors design and install beautiful Bespoke Kitchens throughout the Midlands. We know how important it is when looking for a new kitchen that everything runs smoothly from start to finish. That’s why here at Richfield Interiors we provide a complete turn-key service, making sure your spectacular new bespoke kitchen is installed with as little disruption to you as possible and is swiftly completed without compromising on our high standards. Visit us today and start planning your Bespoke Interior design! Contact Us today to start planning your luxury kitchen interior design. We offer premier Craftsmanship and highly qualified installation teams to design and create your dream interior to the finest possible finish. 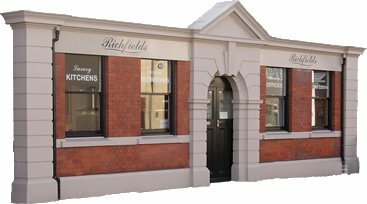 You can call us today on 0128 322 5014, email us at sales@richfieldsinteriors.com or fill out our Enquiry Form and we’ll be in touch.